Loudoun Country Day School - Blackburn Architects, P.C. : Blackburn Architects, P.C. 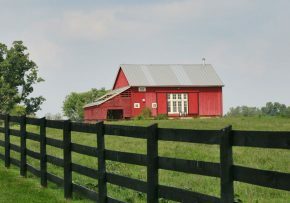 An abandoned barn on the 69-acre site of the new Loudoun Country Day School campus may see new life as a performance facility. Blackburn completed the conceptual design for the renovation and adaptive reuse of this building. The design converts this former dairy barn into a 156-seat performance hall for school and community cultural, theatrical, and musical events. The design intent preserves the basic structure of the original barn, allowing the school to benefit from a new performance facility without the environmental waste of demolition and new construction. The concept houses an elevator in an existing silo for access to loft-level seating. In addition, the facility is expected to provide the amenities necessary for catered events.